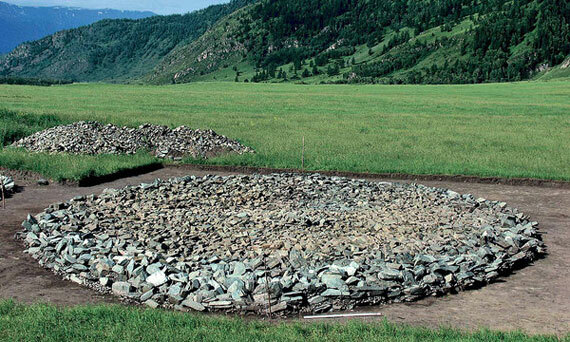 Kazakhstan’s four national museums have teamed together with the Institute for the Study of the Ancient World at NYU to exhibit Kazakhstan’s exquisite bronze age nomadic heritage in Nomads and Networks. This exhibit at the Arthur M. Sackler Gallery runs from 11 August to 12 November 2012. Amongst the exhibits are magnificent finds from the Scythian burial ground at Berel, in northeastern Kazakhstan. Excavated in 1998, the dig disclosed a frozen royal tomb and the remains of thirteen sacrificed horses. You can read a bit more about it here. And a bit more about the amazing Krym Altinbekov, who led the restoration of the horses’ harness and gear, in our latest edition of Steppe (Steppe 9). Amazing to think we have the permafrost to thank for something. And of course, don’t forget to visit the exhibition if you are in D.C.